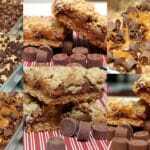 I love these Bars……chocolate chips, caramel, oats and brown sugar. 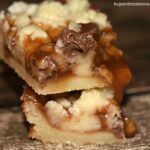 You will love the smell coming from your oven when you bake these gems up! Line 9 x 13 inch pan with nonstick foil. In large bowl, combine flour, oatmeal, sugar, soda and salt. Add melted butter and mix till well combined. Reserve half the crumbs, about 3 cups. Press remaining crumbs into bottom of pan. 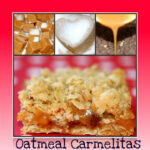 In a small microwave safe bowl, combine caramels and half and half. Heat for 4-6 minutes on half power, stirring a couple times during the melting process, until caramels are melted and mixture is smooth. 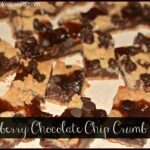 Sprinkle crust with chocolate chips. 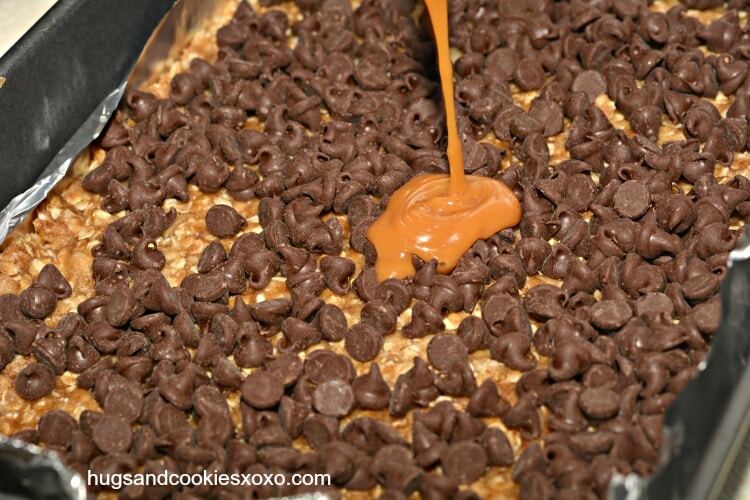 Drizzle with melted caramel mixture and top with reserved crumbs. Bake for 20-25 minutes or till golden brown. Cool at least one hour before cutting. 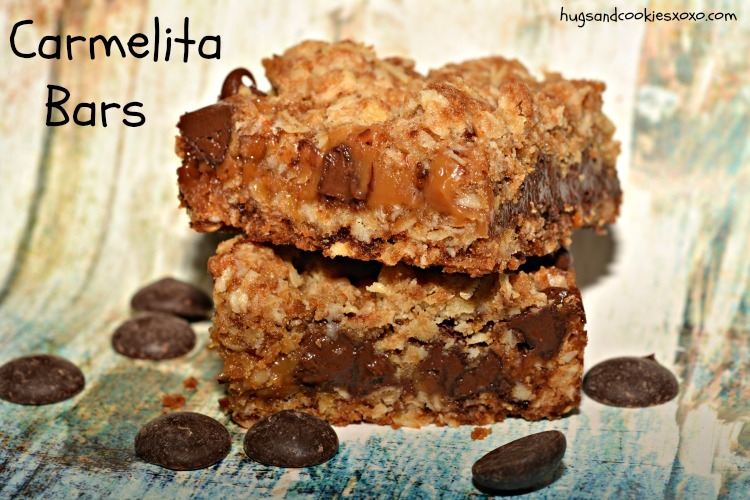 CARMELITA BARS STUFFED WITH ROLOS!! !